Two days after news broke that senior officials at TERI pressurised a male researcher to approach the woman who had filed a sexual harassment case against the institute's director RK Pachauri and convince her to settle out of court, the woman complainant moved the Delhi High Court, seeking to have Pachauri's anticipatory bail cancelled, reports The Economic Times. The woman said the news reports indicated "extremely important ground" for the cancellation of the bail. Her application was filed for urgent hearing, and the court will hear it on Thursday. In her application, the woman asks why the Delhi Police did not bring the male researcher's complaint to the notice of the court on 13 January, when it was hearing arguments on bail for Pachauri. The complaint had been received at Delhi's Lodhi Colony police station on 12 January, at 7.45 pm. Her application said: "Despite the investigating officer and the SHO concerned being fully aware of the contents of the complaint by the researcher, they did not bother to inform this court about this extremely important fact having a bearing on the petition." 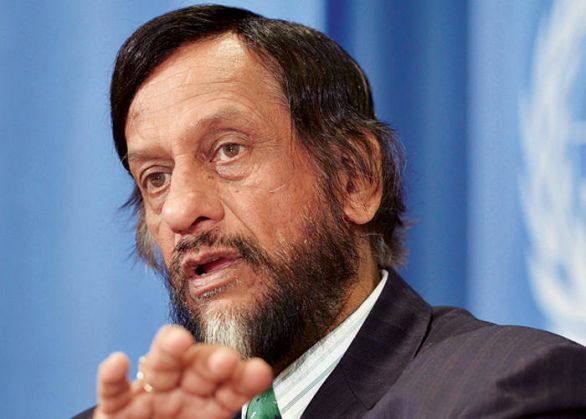 The application said that the male researcher's complaint proved her belief that "Pachauri has been exercising pressure upon TERI and its officials", leading to a situation in which TERI officials did not cooperate with the police.